You are invited to explore and share your natural curiosity with us these school holidays. All activities take place outdoors at our forest site. We have a campfire, tarps, a water source and access to toilets near by. This camp will be facilitated by two experienced forest school leaders, fully insured & garda vetted. *Nature-inspired games and sensory awareness activities; to foster connection with ourselves, each other and nature. * Hide tanning: Giving thanks for the lives of the more-than-human creatures and Respectfully using the skin of an animal to create something beautiful and long-lasting. *Fire craft: using swedish fire steels and seeing how fire by friction is created. Learning about keeping ourselves safe around fire & fire management. 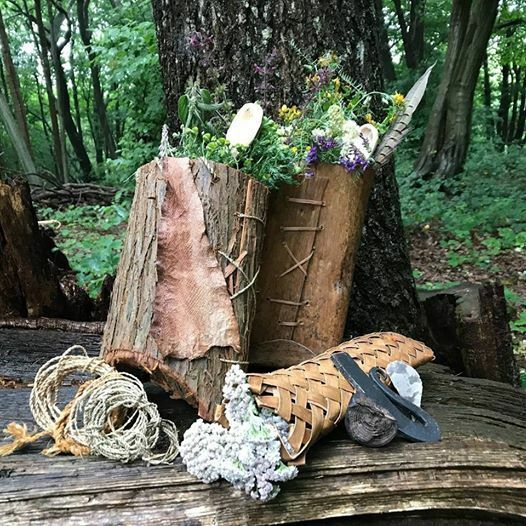 *Tool use and craft: learning how trees & plants can provide us with materials that we can get creative with. Participants will learn how to safely use tools such as knives, saws & drills. *Den building: working together to build group shelters and learning the basics of outdoor living. *Spending time together in the woods inevitably brings up lots of opportunities for personal & community development such as; Consensus decision making, conflict resolution, setting boundaries & consent. These will be navigated in an age-appropriate way. Always plenty of time to hang out around the campfire, tell stories and share songs.